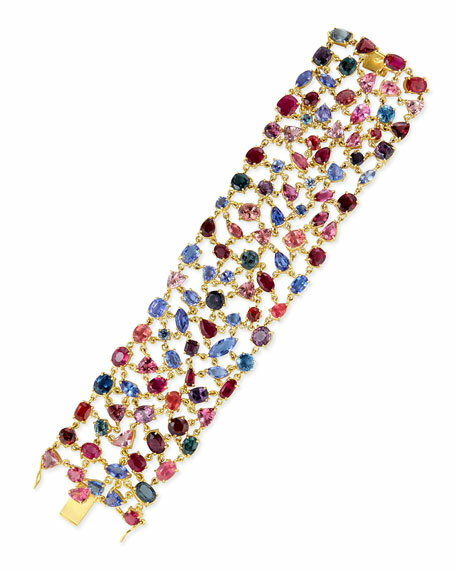 Nancy Phillips link bracelet with multicolor stones. Tanzanite, 16.70 total carat weight. Sapphire, rubelite, and tourmaline, 74.25 total carat weight. Push clasp with safety hinges. For in-store inquiries, use sku #564626.